Well, there’s a lot to like about this album, particularly the backwards look at outlaw country. These are the kind of songs you would hear in the country bar that Jake and Elwood stumbled into. There songs about drinking, songs about cars, songs about drinking, songs about guns, songs about drinking; you get the picture. The repeated line from “Our Town”, ‘Miller Lites and shots and fights’ just about sums it up and it’s great fun. 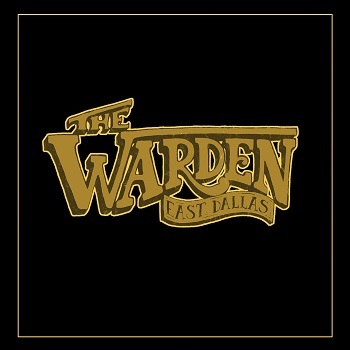 The Warden is Ward Richmond, a fixture on the Dallas scene for years as a bass player, songwriter and manager and this is his debut solo album. The songs are mainly autobiographical, stories about youth, irresponsibility, life on the road and even relationships. The musical stylings are mainly in the area between country and rock ‘n’ roll; the honky-tonk style that’s hard and fast and loud because that’s the way you needed to play to get the crowd’s attention in a honky-tonk. For most of the album, you wouldn’t accuse anyone of underplaying, particularly on “High Life”, which is delivered at breakneck speed with some great honky-tonk piano. The notable exceptions to this rule are the mid-tempo duet with Madison King, “Bullets”, featuring some lovely pedal steel from Burton Lee and the album’s closer, “Dark Clouds”, built around acoustic guitar and pedal steel. For most of the rest of the album, it’s mainly about turning everything up to 11 and throwing in guitar, piano and horns to create a glorious noise; listen to “Sun Goes Down” and you’ll see what I mean. The album’s a lot of raucous good fun but I’m not sure that Ward’s intention of making the lyrical message stronger by tonking up the music really works; I suspect that the good-time arrangements might actually detract from the lyrical message. My other reservation is that Ward’s voice is ok, but a stronger voice might put the songs over a bit more effectively. It’s an interesting listen, and I think the songs with the full band would make a great live show, but I’ll leave the finally summary to the studio talkback at the end of the lively “Sun Goes Down”: ‘What it lacks in proficiency and accuracy is surely duly matched in sheer moxie’. “The Warden” is out now on Idol Records (IR123).